A Funeral Service will be held on Thursday Apr. 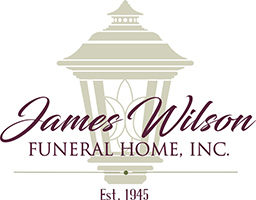 18, at 11:00 am in the James Wilson Funeral Home, 143 Gravity Rd. Lake Ariel, Pa with services by Rev. Art Yetter. Cremation to follow in Lake Region Crematory, Lake Ariel. Friends may call on Wednesday Apr.17 from 4 – 7 pm. 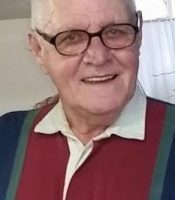 In lieu of flowers, the family prefers memorial contributions in Richard’s honor be made to the Cortez United Methodist Church, 967 Cortez Rd. Jefferson Twp. Pa 18436. Richard‎ C.‎ Chamberlain‎, 87, a‎ lifelong‎ resident‎ of‎ the‎ Cortez,‎ Pa, died‎ tragically‎ from‎ a‎ tractor‎ accident‎ on‎ Apr.‎ 12,‎ 2019.‎ While‎ in‎ high‎ school,‎ a‎ beautiful‎ girl‎ named‎ Josephine‎ Wargo‎ caught‎ his‎ eye.‎ After‎ graduating,‎ they‎ were‎ married‎ &‎ started‎ a‎ fulfilling‎ life‎ together.‎ They‎ were‎ married‎ for‎ 65‎ glorious‎ years‎ until‎ his‎ untimely‎ death. He‎ was‎ born‎ on‎ Jan.‎ 14,‎ 1932, in Cortez. He was the son of the late Garland and Florence Lindner Chamberlain. In‎ his‎ earlier‎ years,‎ he‎ had‎ his‎ own‎ trucking‎ business‎ and‎ was‎ a‎ cross‎ country‎ truck‎ driver. He‎ retired‎ from‎ Western‎ Wayne‎ school‎ district‎ as‎ a‎ maintenance‎ technician. He was a member of Cortez United Methodist Church. He‎ served‎ his‎ country‎ in‎ the‎ Army‎ during‎ the‎ Korean‎ war. ‎When‎ the‎ children‎ were‎ growing‎ up,‎ he‎ took‎ the‎ family‎ on‎ several‎ adventurous‎ camping‎ expeditions.‎ Richard‎ was‎ a‎ hard‎ working‎ self‎ made‎ man‎ who‎ loved‎ his‎ family.‎ For‎ several‎ years,‎ along‎ with‎ his‎ wife‎ and‎ son‎ Larry,‎ they‎ were‎ the‎ groundskeepers‎ for‎ Kizer‎ Cemetery.‎ It‎ was‎ there‎ that‎ he‎ met‎ Jim‎ Canterbury‎ and‎ formed‎ a‎ enduring‎ friendship.‎ Richard‎ was‎ a‎ good‎ judge‎ of‎ character‎ and‎ knew‎ BS‎ when‎ he‎ heard‎ it.‎ He‎ loved‎ working‎ in‎ his‎ woods‎ and‎ enjoyed‎ good‎ company,‎ a‎ tasty‎ meal‎ (especially‎ pork‎ ribs)‎ and‎ a‎ hearty‎ drink.‎ His‎ favorite‎ pastimes‎ were‎ tinkering‎ in‎ his‎ garage,‎ giving‎ orders,‎ listening‎ to‎ country‎ music‎ and‎ watching‎ his‎ beloved‎ Fox‎ news. He will be dearly missed by his family, friends, and his beloved cats Bootsy and Snowball. Richard‎ is‎ survived‎ by‎ his‎ wife‎ Josephine;‎ sons‎ James‎ of‎ Texas,‎ Larry‎ of‎ Cortez,‎ and‎ Garry‎ and his wife May‎ Lynch‎ of‎ New‎ Jersey; daughter‎ Kelly‎ of‎ Cortez; brother-in-law Edward Wargo; sister-in-law Janice Chamberlain;‎ grandchildren,‎ Christina,‎ Grant,‎ Courtney,‎ Nicholas,‎ and‎ Christopher;‎ the family guardian Kenneth Anderson; several nieces and nephews. He‎ was‎ preceded‎ in‎ death‎ by‎ his‎ daughter Donna Chamberlain; ‎ brother‎ Dale‎; sister‎ Marilyn‎ Wargo‎.